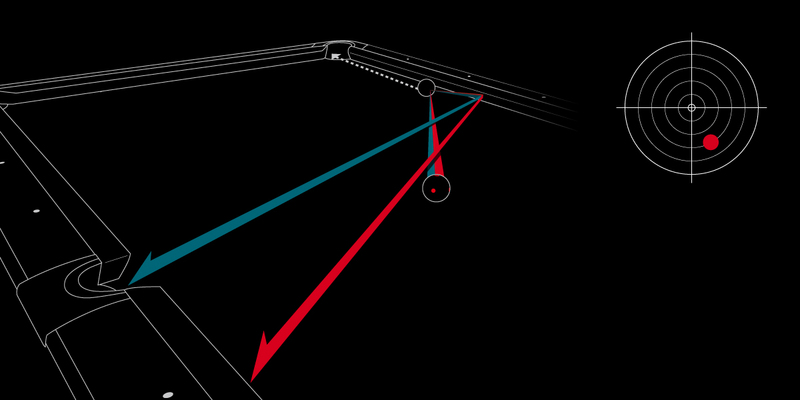 In order to get a memorable experience from each shot, we focused on the point where the player’s strategy and energy are transmitted from their hand, through the cue to the cue ball. 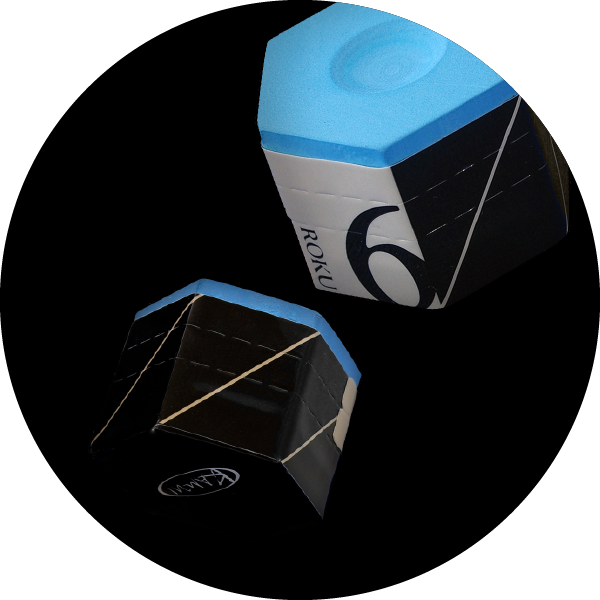 A tip that grants stability and consistency and a chalk that ensures reliable grip. The possibilities that they produce will dramatically change the player’s future. “Stability” and “Reliability” are important elements for serious players. They are also cornerstones for cue tips. 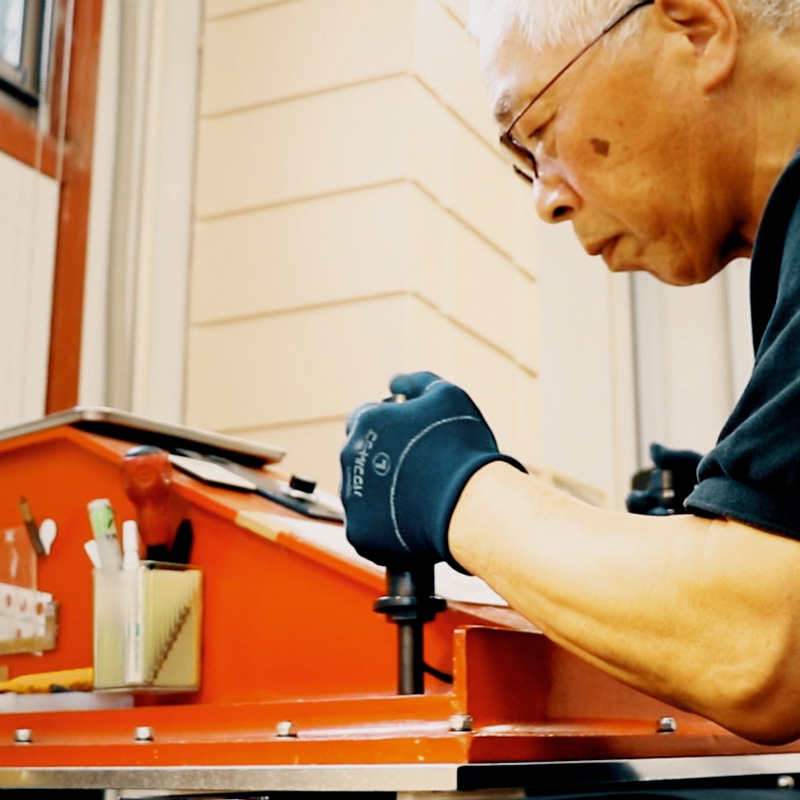 Through multiple quality control and quality improvement layers, we will continue to quest for better playability and quality in KAMUI tips to bring out your best performance and fluidity on a table. 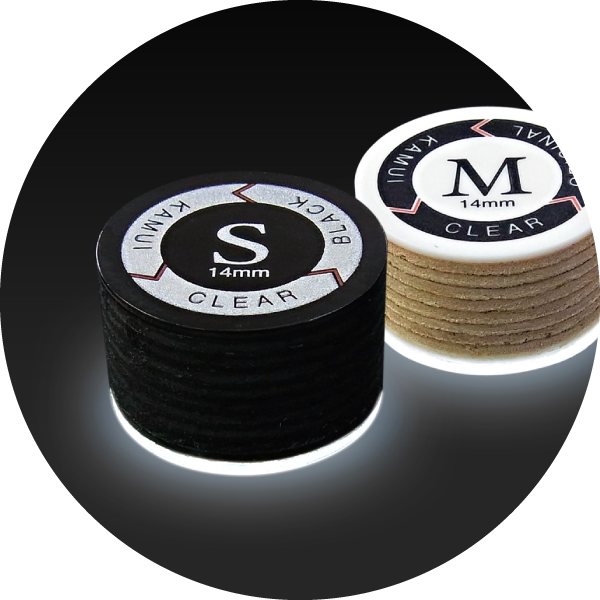 Leather and adhesive, are the two substances that are carefully picked. 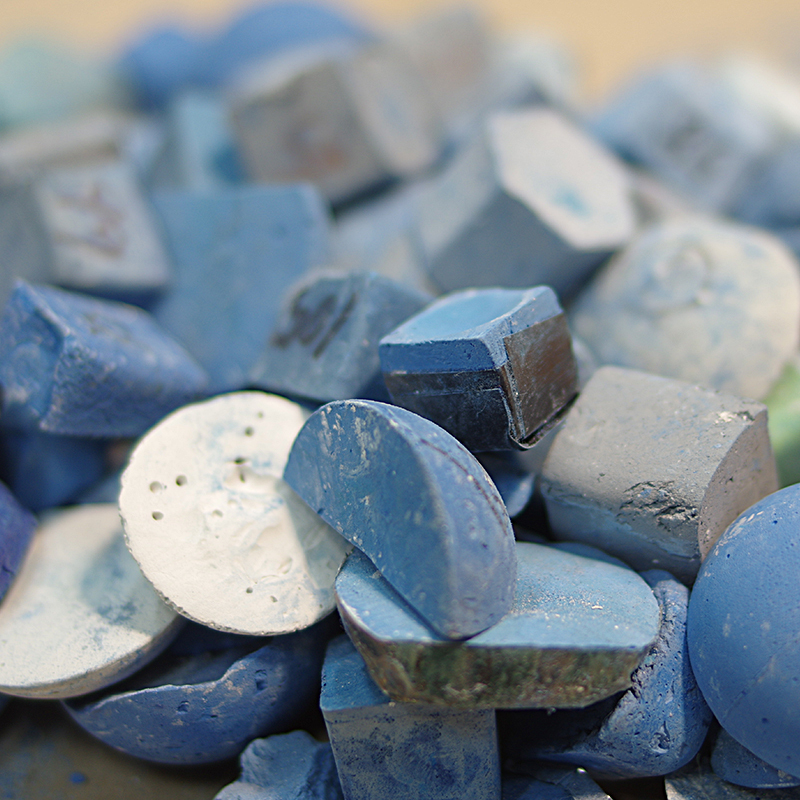 How they work together plays a key role in the production process of billiard tips. The leather processing (tanning) is handled by the best tanners in the leather industry. 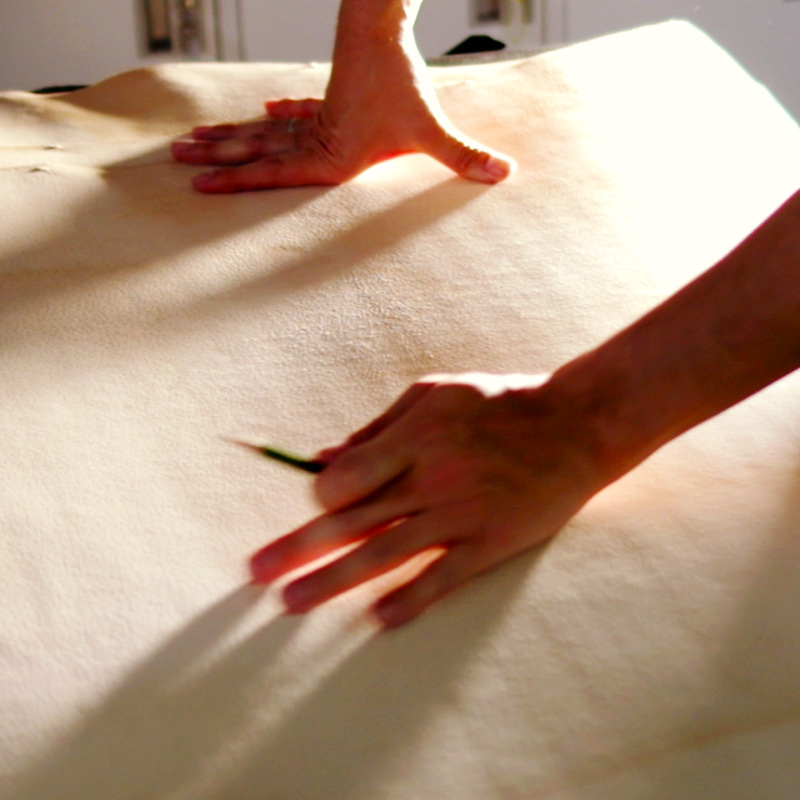 KAMUI has introduced a quality control process into the tanning of KAMUI leather; this process gives the KAMUI brand the consistency required to be the best tip. 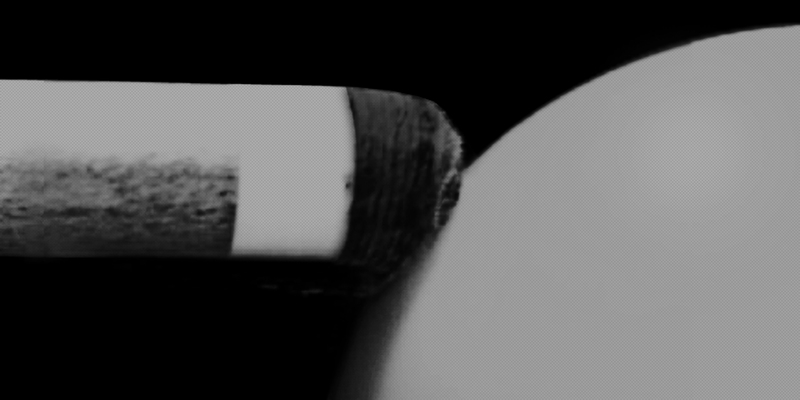 The Japanese pig is a fine grade of leather for a pool cue tip. 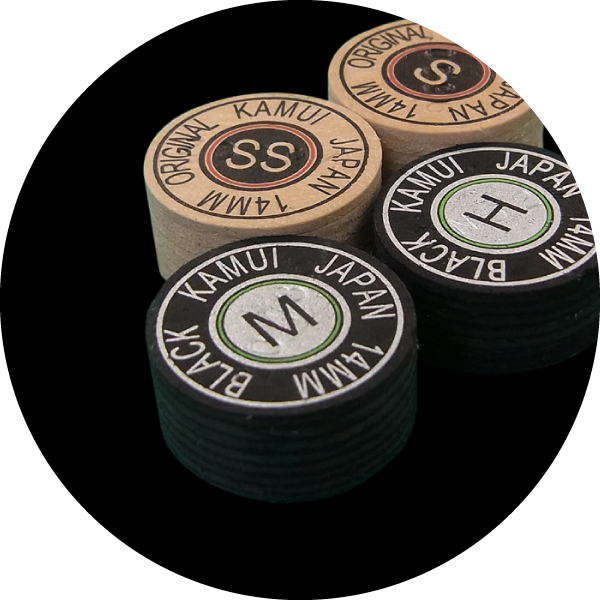 But, how KAMUI is above the competition is through careful sorting of pig skin and careful selection of the parts of pig skin only used for a pool cue tip. The selected part of the pig is critical to the quality of a KAMUI tip and that knowledge is left up to our highly skilled craftsman. Every selection of pig skin gets evaluated and double checked by two craftsman. Traditionally, billiard tips are made by craftsman who choose leather from what exists from the tanning house. And craftsman typically do not have a process to evaluate consistency in the post production phase. 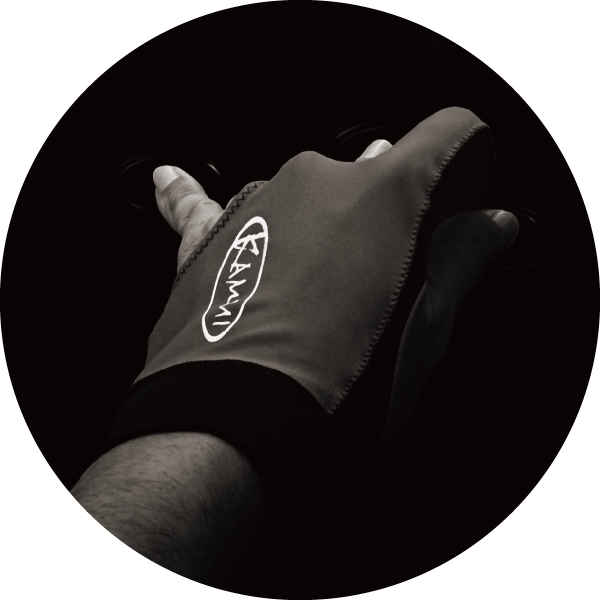 KAMUI has the system to take technology and give a scientific analysis to choosing the right leather. The testing equipment utilizes a histogram in the production process for quality control to analyze. This step helps detect any problems in the production. “ORIGINAL” was intended to execute ball-pocketing with higher precision by enhancing the clean transfer of power to the cue ball. “BLACK” then increased the elasticity, and therefore the ability to impart spin to the cue ball for accurate position play. Two different styles of playability exist to enable the realization of intuitive play. We ventured outside of convention to seek a higher quality chalk that can fully realize the ability of KAMUI tips. The ideal proportion of Roku was found through repeated testing of materials, bonds, heat torelance, particle size distribution and more. 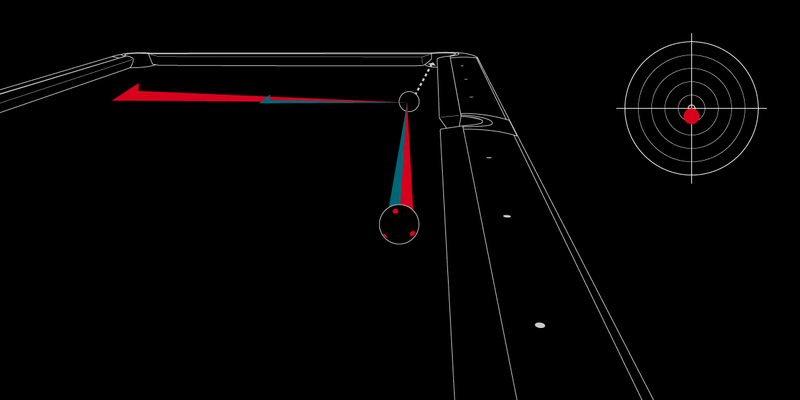 By preventing miscues, maximum functional and stable spin can be transferred to the cueball. 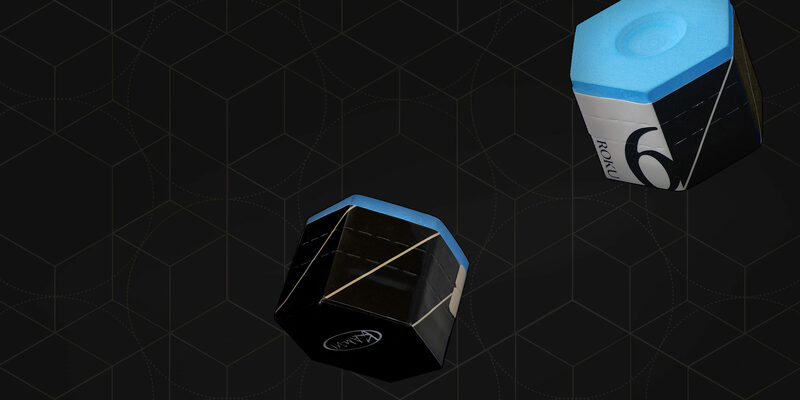 In order to increase grip strength, we introduced new material that were not used in other chalk brands. While maintaining the ideal grip strength, Roku also has comfortable hardness to chalk up. 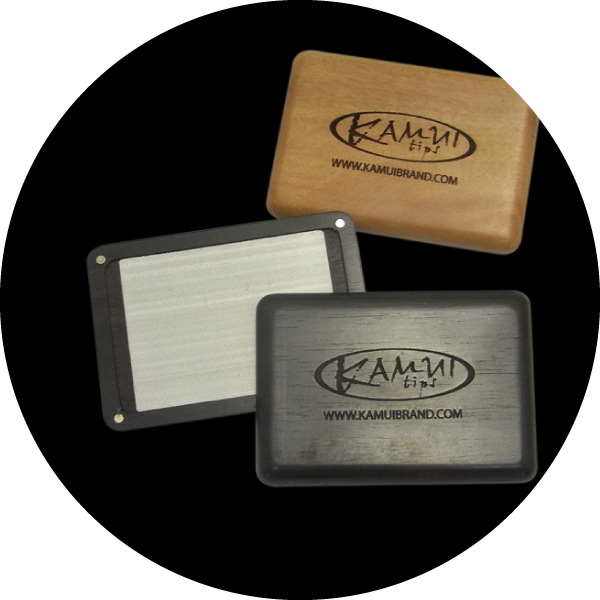 Roku is the key tool to bring out the best playability of KAMUI tip. 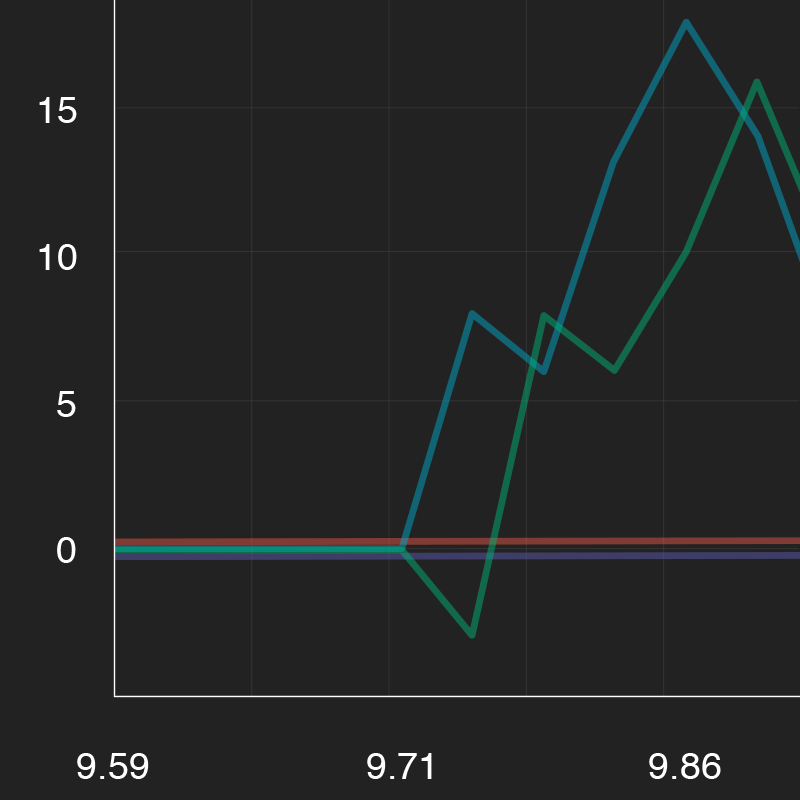 After repeated trials, the lineup of 0.98 and 1.21 was born. 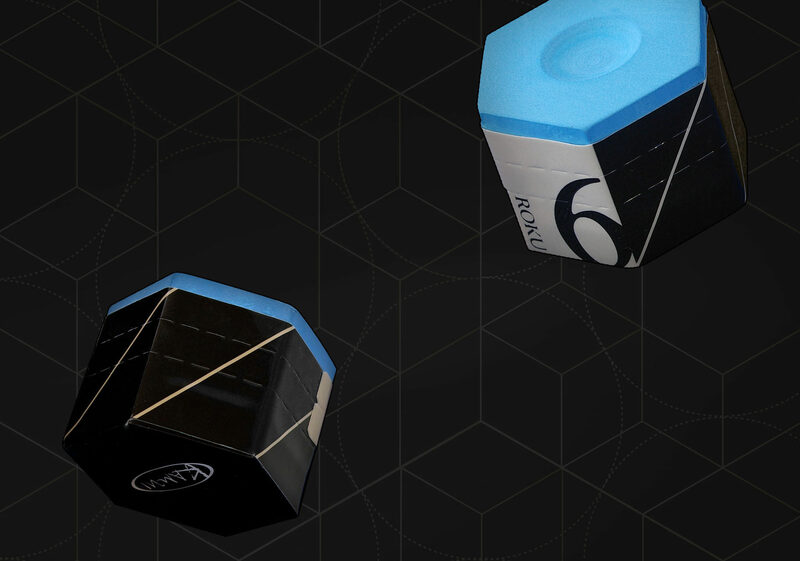 With these as the foundational line, we are working on the development of chalk that is closer to the game’s evolving strategy by making subtle changes. 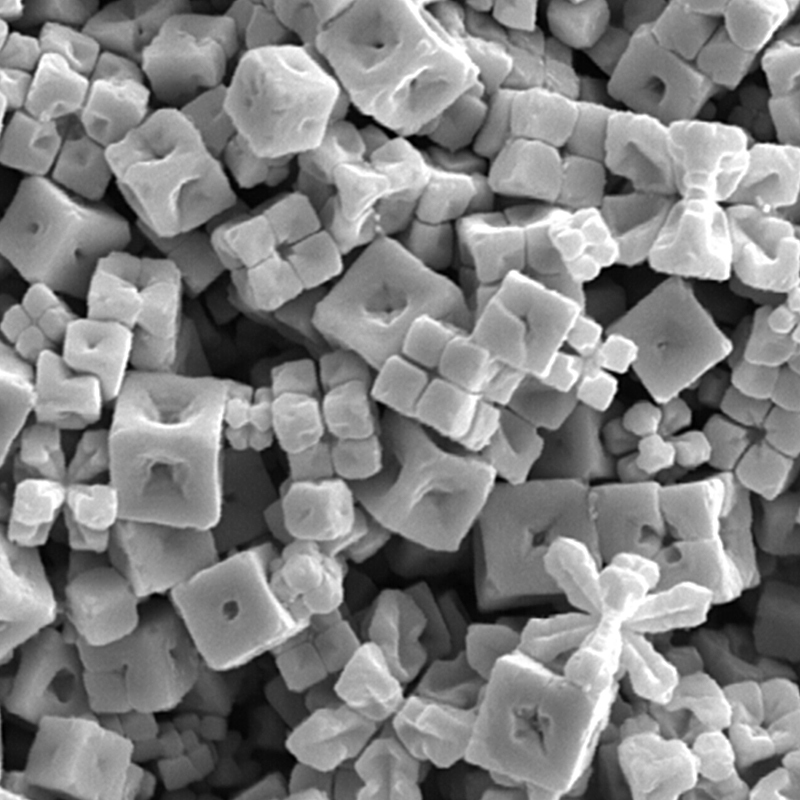 Accumulation of data at the prototype stage will be used as reference data for new chalk development. We are continually collecting data from all phases of product life. 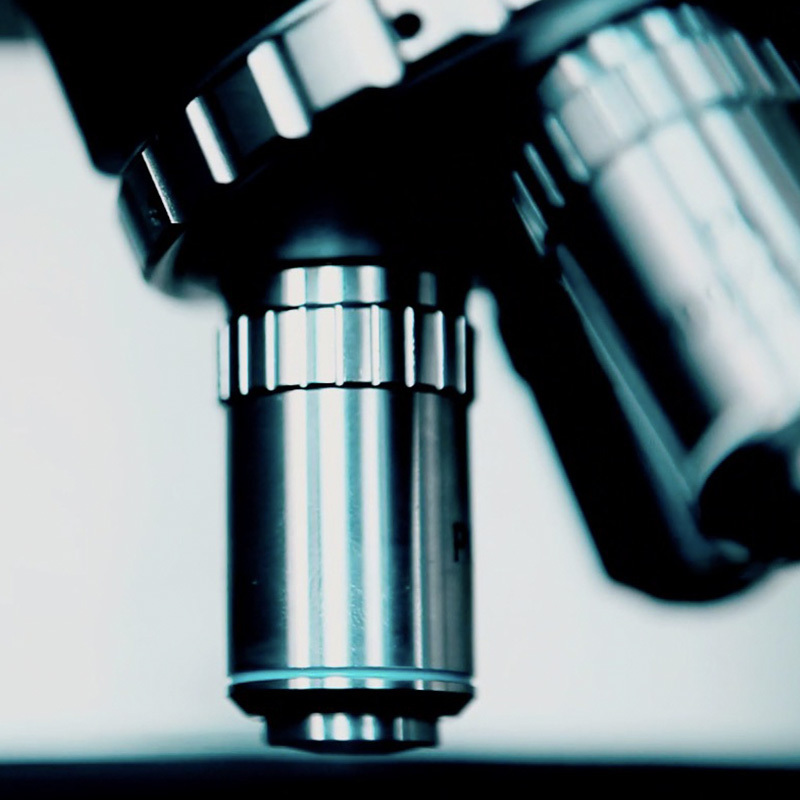 Throughout the production and quality control, we track particle formulation, hardness, grip power and other facts, in order to achive the accuracy and consistency standard to which we hold all KAMUI products.